Clean and wash cabbage in running water. In curd mix all dry masalas including salt except cumin seeds. Now cut cabbage carefully, slit in the middle of cabbage without separating it from head to tail and in opposite side tail to head. Marinate cabbage with the prepared masala curd about an hour. Add cumin seed once oil is hot. Allow it to change its color and then add marinated curd into this. Reduce gas flame and allow it to get cook in low flame till cabbages are thunder. very nice looking curry, love the addition of curd! always like indian style of frying brussel sprouts.. Delicious small cabbage fry I love to have with my rasam rice. Thanks a lot for your informative post about cabbage. 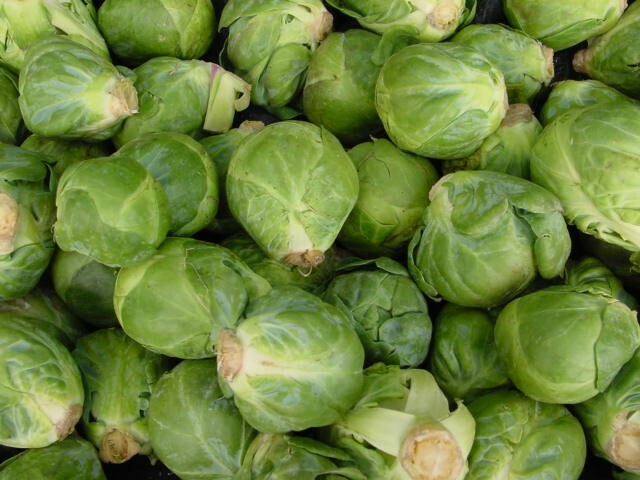 These are called Brussel sprouts in U.K...i often do curry with them...fry is looking very appetising..must try,thnks for sharing..
Hi Subhashini! Thanks for sharing this. They look like brussels sprout, don't they? Super recipe...looks flavorful & delicious.. This looks similar to brussel sprouts right? Delicious and healthy preparation. Wow so cute the small veg looks. This tastes yummy too. Lovely spicy sprouts...novel idea, I'm your happy follower..
Thats a fabulous and healthy stirfry. Healthy and yummy recipe dear.. Ongoing events:Fast Food - Poha . This is in my to do list for a long time. Very well done dear. Would semolina ever turn into a ball of cozy homemade munch? With those earthly flavors from Orissa, “Suji Manda” showed us that jaggery and coconut make magic! …errr… is this the way you lure your people, i.e , “Stir Fry of Brussel Sprouts”? Yes, we would love to feature your culinary skills on our global platform. This is an exclusive space for your penmanship, where you can publish your unique culinary outputs in the form of brief food blogs. That too you’re the one, who’s going to own this space! We would like to pass it on to others by featuring it on our global platform! Sulekha.US would be glad to present your food blog to the Indian communities living abroad. We would love to connect them through one of the most vital channels i.e. food. It’s all yours and you’re going to own an exclusive food blog with Sulekha to share your recipes along with their back links. We would promote it across our wall and social media. Featuring your recipes on our home page would be a perk for our eager Indians, who are waiting for Desi recipes and baked goodies ranging from ‘grand’ to ‘on the go’. Sharing your passion for cooking might rejuvenate the taste buds and senses of millions of Indians living abroad. We’re awaiting your valuable reply.